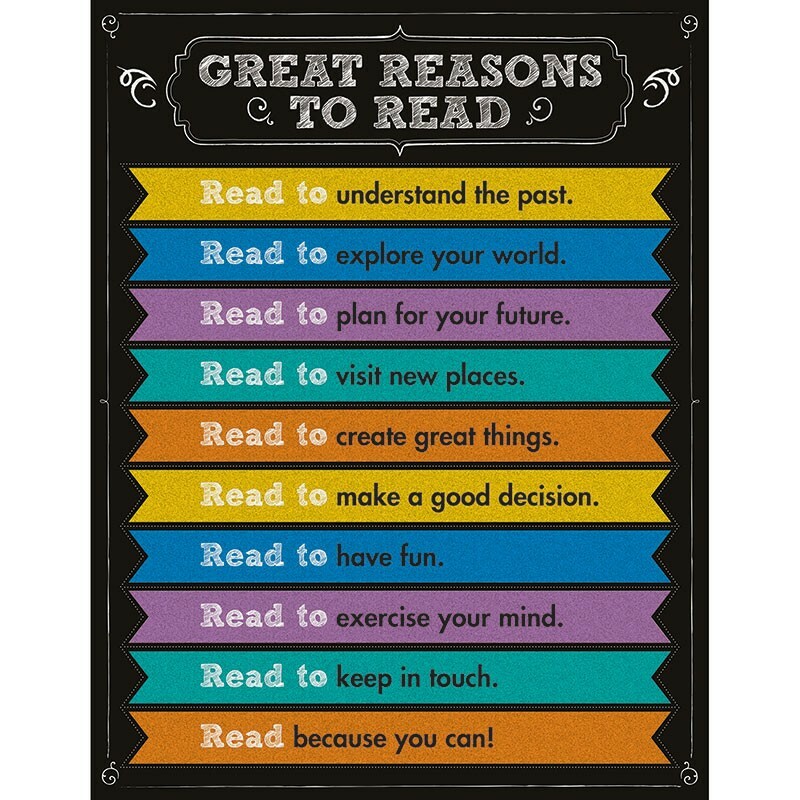 Inspire students to read with this colorful chalkboard Great Reasons to Read Chart. Display this motivational resource tool in the reading center for easy student reference. Chart measures 17" x 22".